Fine Michigan wildflower honey, harvested from our own Michigan apiaries. 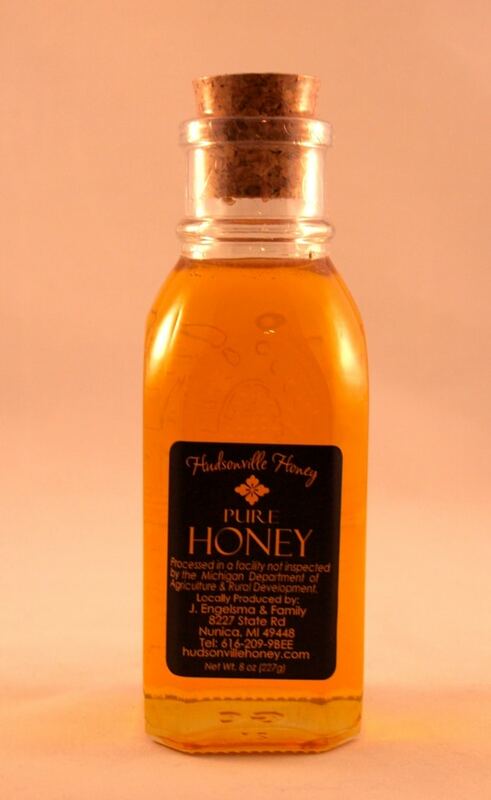 This honey is a light amber honey with the sweet aroma of the flora foraged and a very pleasant mild taste. These 2oz hex jars are very popular for wedding favors. The price listed is for a single 2 oz jar. Contact us for a quote on larger quantities for your wedding or wedding shower. Comes in an elegant glass hex jar. These are very popular as wedding favors among environmentally conscious couples. 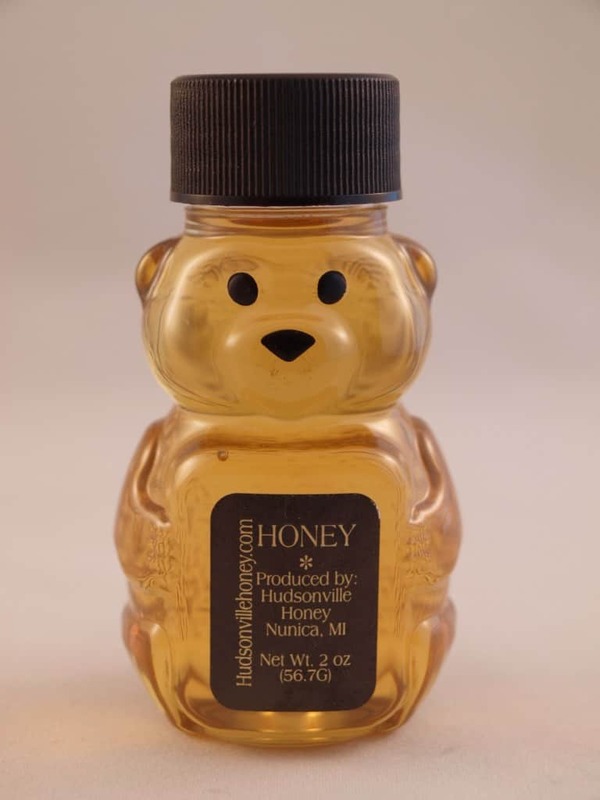 The honey will be a light amber color with the mild flowery taste derived from the primary nectar sources in the West Michigan area: Dutch Clover, Starthistle. This product consists of 8 ounces of Michigan wildflower honey lovingly packaged in a classic glass Muth jar. These jars are replicas of the jars that Charles Muth marketed honey in during the late 1800s. 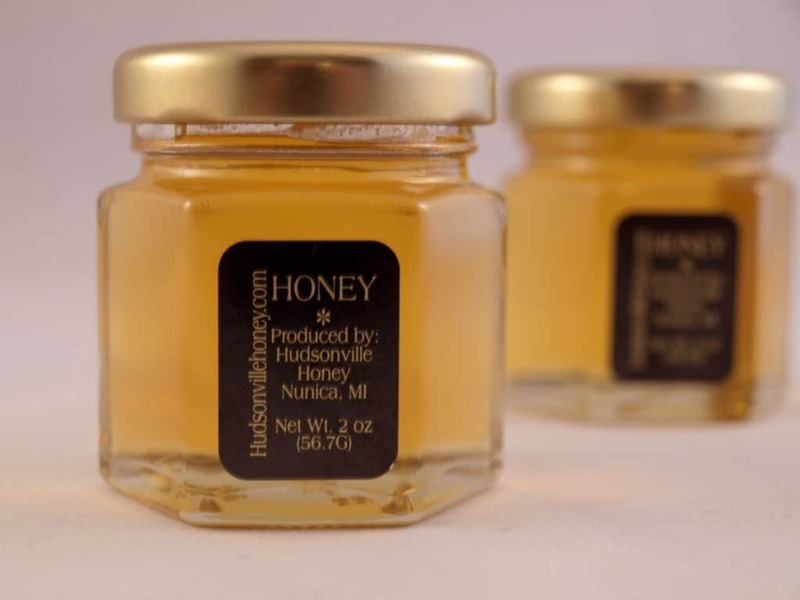 Each jar is embossed with a picture of a beehive and the words “Eight Ounces Pure Honey”. This is a very attractive classic looking jar that makes a great addition to your homemade holiday gift baskets.